HANNIBAL, Mo. 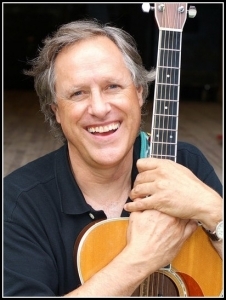 — Tom Chapin, a contemporary folk musician and children’s entertainer with a widely recognized family name, will bring his musical talents to Hannibal for two concerts on Feb. 9. Tom Chapin is a lifelong musician and performer in his own right. He not only has produced 27 albums of music but also has amassed a resume filled with television and movie appearances, documentary work, story telling and concert performances. He even won three Grammys for narrating a series of children’s books. Chapin will perform two concerts at the Roland Fine Arts Center on the campus of Hannibal-LaGrange University. The first, at 1 p.m. Feb. 9, will be a family concert featuring songs written especially for ages 3 to 13. The second show, at 7:30 p.m., is for all ages and will feature some of Chapin’s own original music along with a few folk classics and several selections from the Harry Chapin Songbook. Tickets for the children’s show are $12 for children, $25 for adults. Evening tickets are $27 to $42 for reserved seating. 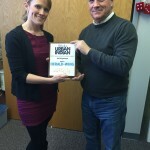 Tickets can be bought online at eventshannibal.com or by calling the HLGU box office at 573-719-3226. Chapin is being brought to Hannibal to kick off Bluff City Theater’s fifth season, which is built around the theme, “The American Experience.” The theater’s 2019 season coincides with the city of Hannibal’s bicentennial celebration. Chapin has been making music all his life. But a big part of his life has been spent in the shadow of his older brother Harry, who shot to the top of the music world with a series of hit ballads that featured poignant messages and distinctive guitar playing. In their younger years, Tom and Harry and another brother, Steve, played folk music together. They were inspired to perform after listening to a popular record album, “The Weavers at Carnegie Hall,” featuring the influential folk group that inspired a generation of musicians. So Harry, then 14, acquired a banjo and Tom, then 12, found a guitar, and together with brother Steve, then 11, “we became the Chapin Brothers,” Tom recalled. Harry would typically sing the melodies of the songs while Tom and Steve — both former choir boys — would sing the harmonies as the trio performed anywhere they could in New York’s Greenwich Village and Brooklyn Heights areas, where they grew up. “For the next 10 years we taught each other and learned from everybody else,” Chapin said. In 1965, the Chapin brothers got some national exposure when the three brothers — joined by their father, Jim Chapin, an accomplished jazz drummer — made an appearance on the Merv Griffin Show. By then, the Chapin brothers had reached college age and were starting to go in different directions. Tom went to college in upstate New York, earning a bachelor’s degree in history. In 1969 he began working on a documentary about sharks, “Blue Water, White Death.” One of his jobs with the film involved singing on the soundtrack. Then in the early 1970s Tom Chapin spent five years singing and hosting a TV show geared for kids, “Make a Wish,” which won Emmy and Peabody awards. Chapin wrote most of the songs used on the show. During that period, he also performed solo concerts and even joined with his brother Steve in forming a band, Mt. Airy. The brothers released a record in 1973, and three years later Tom recorded his first solo album. Meanwhile, Harry’s music career had taken off like a thunderbolt in the early 1970s following the release of “Taxi,” the song that quickly propelled him to stardom. Over the next decade Harry would release 11 albums with 14 hit singles. Then tragedy struck. On July 16, 1981, while en route to perform a concert in New York, Harry Chapin was fatally injured in a traffic crash as he drove on the Long Island Expressway. He was 38. His death had a major impact on Tom Chapin and other members of the Chapin family. “We were very close, and when he died the universe shook a little bit,” Chapin said. Chapin said he took some comfort in a message delivered at Harry’s memorial service by their oldest brother, James. Tom Chapin took that message to heart. “That’s what I try to do,” he said. Chapin went on to develop his own musical career as a solo performer and as a member of the Chapin family singing tribute concerts in memory of Harry. He also has done theater, movie and TV roles while also branching into children’s entertainment as a writer and singer of songs performed with the guitar, banjo and autoharp.